Do you know that it is a lot more complicated than just throwing in a installer to install Dot Net Framework 3.5 on Windows 8 / 8.1 or Server 2012? 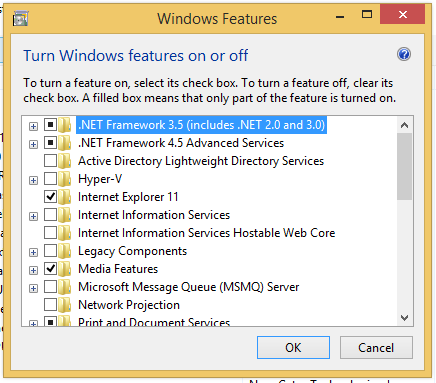 The reason is that it already came with Dot Not Framework 4.5 and the installation of these Windows actually comes with Framework 3.5. It is just not enabled. 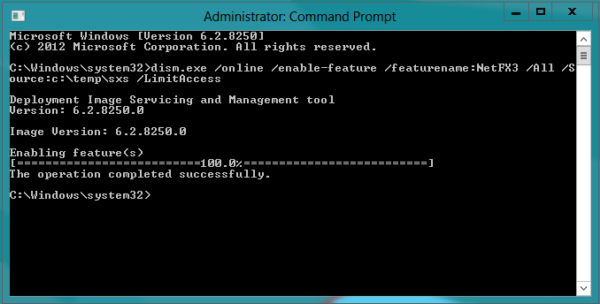 So, actually all you have to do is to enable it. But wait, why does it need to go to the Internet to do that? The installation is really stupid. If you are stuck in an offline environment, this is really terrible. But fear not, there is a way around it. Remember to run this as administrator though. And you should see something like this. Hope this had been helpful. Let me know in the comments.